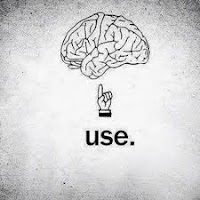 “You might have a had a disadvantaged background but you don’t have a disadvantaged brain” – Vusi ThembekwayoI happened to watch a video and the man Vusi was talking and he made the above statement, that statement triggered something in my mind. I looked back at the times I have blamed my background or some of the hard circumstances my family went through for not pushing myself in life. I have many times said that if I had parents like this or that then maybe I would not be where I am, I could be in a better place or have a better job or just have better connections. 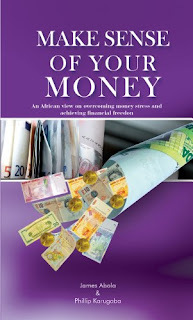 In one of the reviews on line, this is what Joseph Ronald Kasozi said,"This is a such a good read on making your money grow and work for you and even keep it ! . The authors have given practical money tools for winning in life . Lets hope they can write more books along this line ." JUST DON'T QUIT Have you ever felt like quitting, it happens to all of us but there are moments when instead of quitting, you just keep moving forward. God has built us in a way that we can have endurance, perseverance, grit etc, In-fact it is written that we shall reap in due season if we faint not. So don't give up the habit of doing good - it will reward you, your family, community, church and the nation at large. I find the message in this video very empowering. #JustDontQuit It can apply to any area of your life, pick out the principles and use them for everyday life. Recently NSSF Uganda announced it’s annual interest rate of 11.23% for financial year 2016/2017. This rate is lower than the 12.3% paid out for FY2015/2016. The bad economy sighted as one of the reasons for the drop on the fixed income earning portfolio,however it has been declared that the interest rate is still higher than the 10 year inflation rate of 8.68%. One of the worst things in life is to be short sighted. When you are short sighted this means you can only see what is near and not what is far. When we plan our lives only thinking of today, we end up living for today but when we plan thinking of the future, whatever we do is on purpose and it has a long term tag to it. Some of the things that always are hard for people to put into practice is the habit of saving, I have often encouraged people to have a saving lifestyle and some will tell you such a thing isn't possible in the 21st century, people will still tell you, "I earn too little" or "My lifestyle can't be contained in a box, I have to live and enjoy life now because I can pass away anytime". Such narrow mindedness has made people do crazy things and spend their heads off, to make it worse, they live long enough to regret their mistakes when it is now too late.